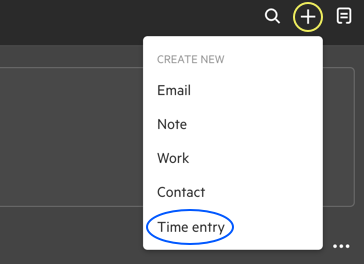 Once you have linked to your TSheets account you can enter time directly into Karbon. Here's how. Once connected to TSheets, you will notice a new tab in each work item: Time. From here, you can choose Add Time Entry. You will then be able to enter time for the work item, the date and duration, and any notes. 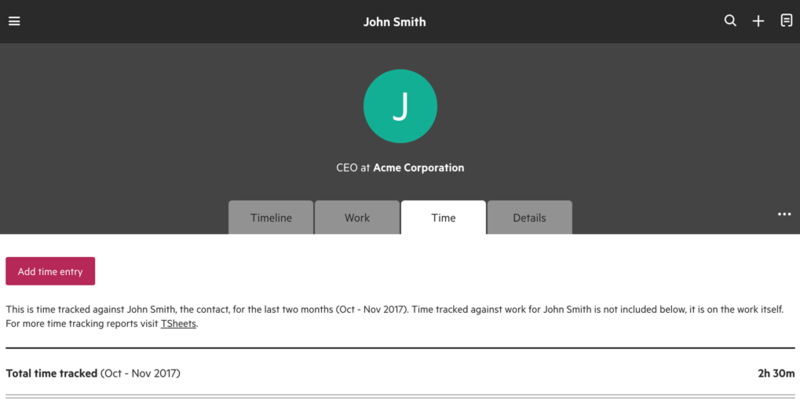 Your contacts will also now have a new Time tab. From here, you can choose Add Time Entry. From your global add icon (+) in the top right, select Time Entry. 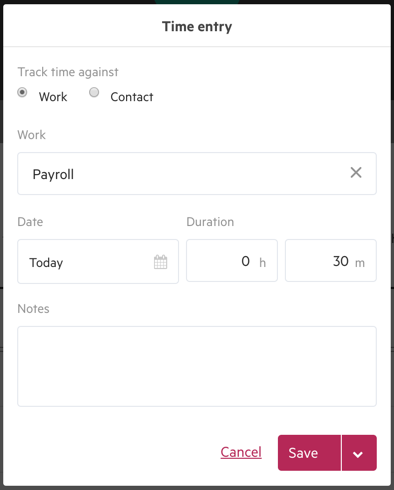 You'll then have the option to add time against a contact or work item that you search for.